No doubt, there are a ton of calendar apps available for Android devices. Last year, another app was released called UpTo, which we like quite a bit. However, Google Calendar’s sync into my existing Google profile is what keeps me in the ecosystem. Now, what if that same UpTo calendar released its awesome features as a plugin for my existing Google Calendar app? Win win, right? Absolutely. Downloadable right now for Chrome browser users, you can apply a new UpTo calendar plugin which brings the fantastic features of the service right into Google. 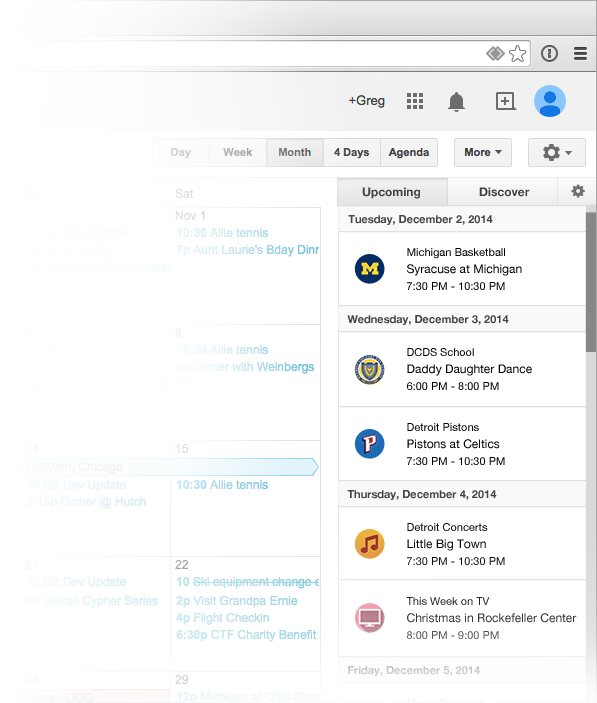 If you are unaware, UpTo brings top events and other noteworthy things taking place around you to your calendar. To be more specific, users can choose events they would like to see, and if they choose, can add the events to their calendar. For example, I have UpTo make me aware every time the Portland Trailblazers and Winterhawks are playing a game. I also have it notify when a new movie is hitting theaters, such as American Sniper. Just so I don’t forget, I can add these events to my calendar, which is the best part. Again, this is a plugin for your existing Google Calendar, so you really can’t go wrong with this addition to Chrome. Finally, the Android app for UpTo was updated to bring a Month view, which was apparently highly requested. If you still want to rock the standalone UpTo calendar, download the update by following the link below.